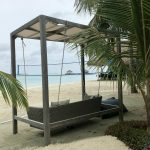 Below is an introduction to each of the resorts visited – please call Jo on 01752 880 880 if you would like to hear more or discuss your next trip to the Maldives! 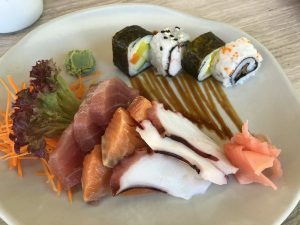 After a domestic flight and speedboat transfer we arrived at Amari Havodda, a spacious and contemporary resort with a wide range of facilities. The resort is great for couples or families, with lots of activities and a fantastic kids club. 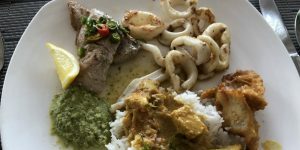 Dining is also very good – we enjoyed an excellent buffet lunch at Amaya Food Gallery, where a great range of fresh fish and international dishes are on offer, while breakfast was delicious and varied. 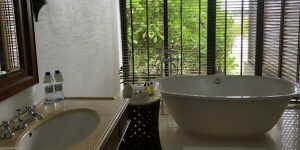 Villas are lovely with beautiful bathrooms and very good in-room amenities. Beach villas maintain a secluded feeling, some with pools on the beachfront and others with pools at the back of the property for added privacy. 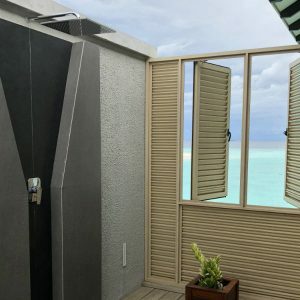 Water villas also offer a great level of privacy, with a furnished deck and open-air bathrooms with shutters beside the shower which allow guests to take in the spectacular views. 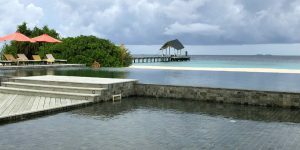 We then moved on to our next resort, The Residence Maldives. This luxurious resort is immaculate, with lovely landscaping and a colonial style throughout. At the heart of the resort is a beautiful pool area with a swim-up bar and partially submerged daybeds, attractive even on a rainy day and especially when lit up at night! A huge number of water sports are available at the resort, while other facilities include a large gym and an air-conditioned games room. A highlight of our stay here was the dolphin sunset cruise, where pods of dolphins performed right by the boat! 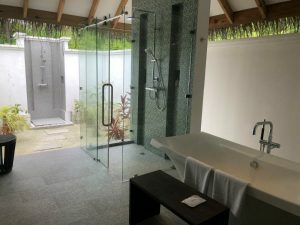 Villas are huge and feature a unique style, large outdoor deck and beautiful bathrooms, some also boasting a beautiful plunge pool. 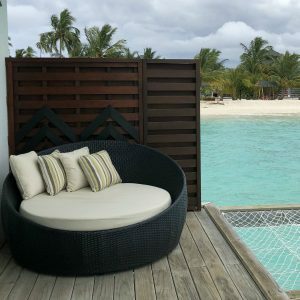 The resort would be great for honeymooners thanks to the beautiful surroundings and special touches including a floating breakfast which guests can enjoy in the privacy of their private pool. Our next stop was Kihaa, an excellent resort with a homely feel, spacious rooms and fantastic communal areas including beautiful pool areas. 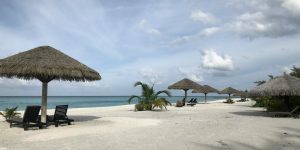 The expansive beaches are a highlight, with plenty of sun loungers dotted around as well as pretty cabanas where honeymooners can enjoy a romantic private dinner. 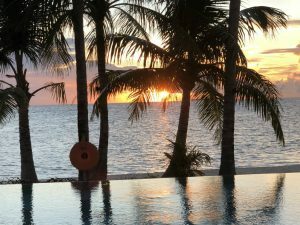 There are a couple of dining options as well as poolside bars, one with fun swinging chairs as well as extremely comfortable daybeds on the beach where guests can sit and watch the sun go down. 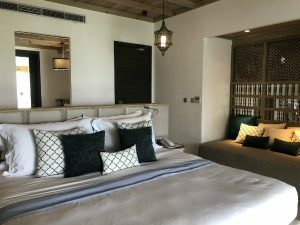 Lagoon Prestige Beach Villas open out onto huge stretches of sand, some with a private cabana, while the Reserve Beach Villas are set further back amid the tropical vegetation. 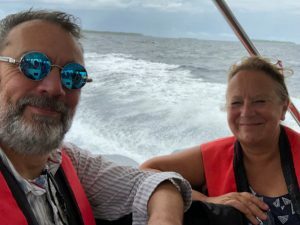 The dive centre is exceptional and the manta ray excursion was a bucket list experience – swimming over 25 manta rays at Hanifaru Bay was very special, I’ve never seen anything like it! 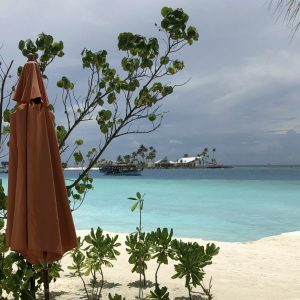 We then travelled to Finolhu, a funky and fun resort with playful touches – guests can book excursions at a VW campervan and sheep statues are dotted around due to the island’s location in Baa Atoll. 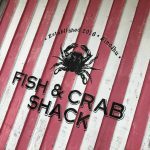 While music plays at the bars throughout the day, guests can find some peace and quiet by wandering along the long sandbank or take a boat along to the Fish & Crab Shack – a beautiful, relaxed setting for a meal of fresh seafood! 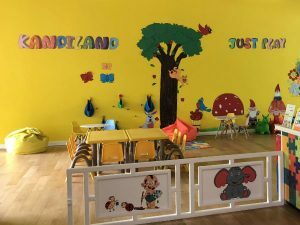 There are lots of fantastic facilities including a spa area and an amazing kids club with a dressing up box and plenty of arts and crafts. 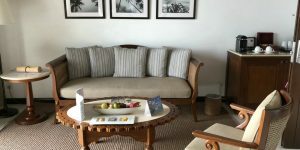 Villas are lovely, with stylish furnishings and beautiful bathrooms, while the higher room categories also feature a retro record player and a special phone to call for Champagne! This is a real party island, perfect for those looking for somewhere with lots going on! 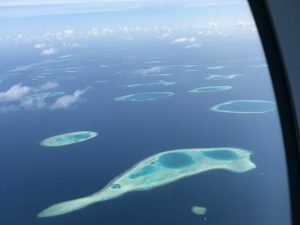 Our next destination was Reethi Faru. 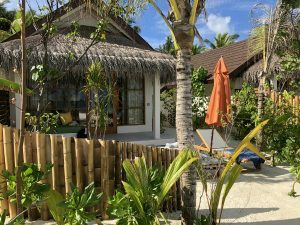 A sister resort to the popular Reethi Beach, this is an excellent resort with beautiful beaches, spacious rooms and lots of leisure facilities. 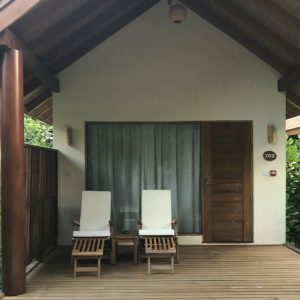 Beach villas are extremely private, while many villas are superb for families and some feature high quality Jacuzzis on the deck. 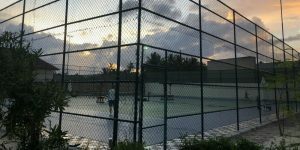 Offering sports including badminton, tennis, squash as well as the usual water-based activities, the resort is ideal for those looking to stay active – a highlight is the gym which overlooks the beach and pool area, promising stunning views! 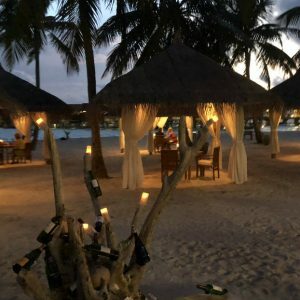 There are various dining options including an open-air grill restaurant where guests can dine in beach cabanas – a beautiful setting for an evening meal. 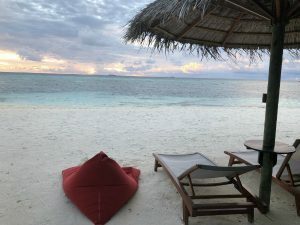 We then moved on to Kandima, a fantastic resort which is one of Mark’s new favourites in the Maldives! 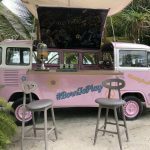 The island is long with plenty of facilities, but guests can easily get around by hopping on the small bus that regularly drives up and down. 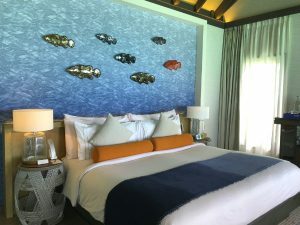 There is a great range of room types, from second floor studios which offer stunning views to beautifully furnished beach villas and water villas where guests can watch dolphins swimming past. 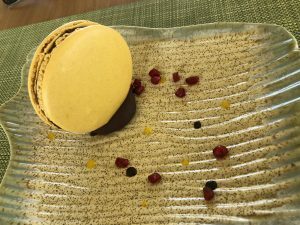 There are unique design features such as hanging shell-shaped lights, plus special touches such as delicious treats in your room on arrival – after sampling the exquisite macaroons I decided I must learn to make them myself! 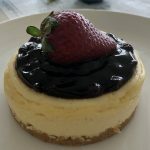 Dining venues cater for different tastes, including a beautifully designed Chinese Restaurant, a beachfront grill restaurant whose unique architecture is contemporary yet somehow fits in with its surroundings, and a lakeside coffee shop where we enjoyed fantastic cakes! 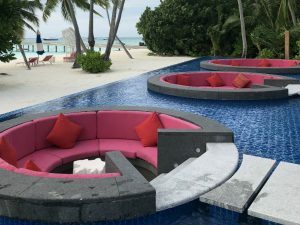 Music plays throughout the day at the poolside bars, while circular seating areas are set into the beautiful infinity pool (one of the longest in the Maldives). 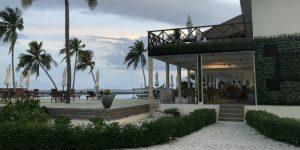 The resort is quite lively and has been designed to allow guests to be sociable, although those who prefer a bit of peace and quiet can easily find a quiet spot in the evening as one bar is always a bit more peaceful. 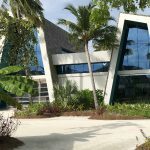 Kandima’s facilities are excellent, including an amazing kids club with fantastic indoor and outdoor areas, and an impressive gym with space for aerial yoga as well as a pool with a jet to swim against. 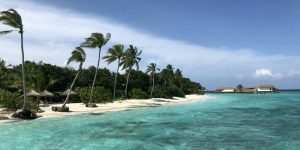 Plenty of water sports are available in the lagoon, while regular complimentary trips are run to the wonderful coral reef which is just a few minutes away by boat – I went snorkelling and saw a variety of marine life including a shark. 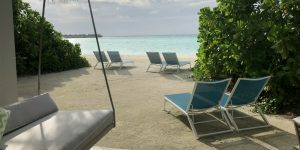 Next up was OBLU Select at Sangeli, another excellent addition to the popular Atmosphere hotel group where two islands are joined by a long water villa jetty. 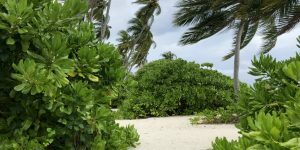 The smaller island is primarily adults-only, home to a spa and a couple of speciality restaurants which guests can reach by hopping on a buggy if they don’t wish to walk. 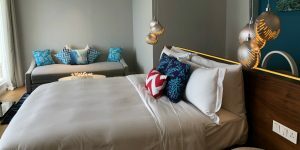 Rooms are beautifully furnished and have huge bathrooms, with the higher room categories featuring luxurious amenities such as Nespresso coffee machines. 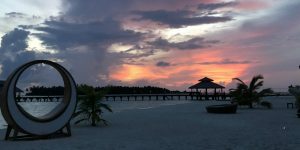 Options include beach villas which lead out onto a pristine stretch of sand, beach pool villas which are set on the sunset side of the island, water villas which face outwards with endless ocean views, and water pool villas which allow guests to watch the activities going on in the lagoon from their private deck. 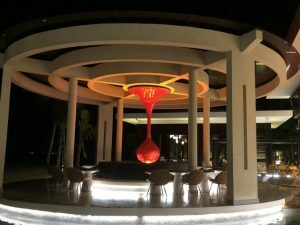 The all-inclusive resort has great options for food and drink, including the main restaurant which is broken up into sections to create a more intimate environment and relaxing bar areas with amazing staff. 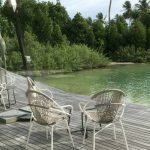 Other facilities include a great kids club, a very good dive shop and an excellent water sports centre, plus guests can rent bicycles to get around. 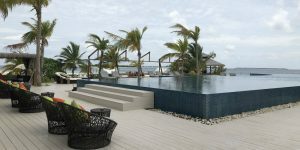 Our final stop in the Maldives was OZEN by Atmosphere, another member of the Atmosphere hotel group which is also set across two islands. 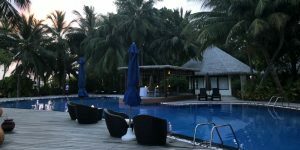 The resort is contemporary and luxurious with friendly staff, high quality accommodation and varied facilities. The main draw is the fantastic all-inclusive package which allows guests to go on selected excursions, borrow non-motorised water sports equipment and enjoy a fine dining experience at the beautiful M6m underwater restaurant (unfortunately we didn’t have time to try this ourselves!). 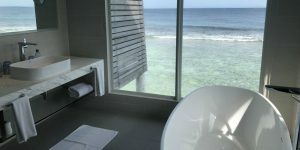 Those staying at least 4 nights can even go scuba diving or indulge in an excellent complimentary spa treatment. 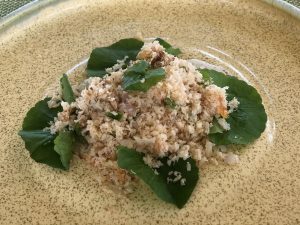 The quality of food and drink is amazing, with dining options including a raw food restaurant in the spa area and an ice cream parlour which guests can visit throughout the day. 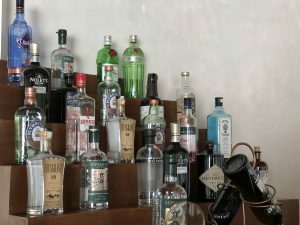 The new air-conditioned gin bar is a wonderful addition and offers a vast range of spirits including homemade infusions – I was delighted to see Plymouth Gin on the shelf, produced just a few miles away from the Tropic Breeze office! 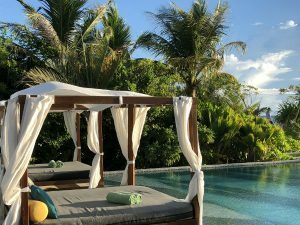 Guests can find plenty of beautiful spots to relax in, including the spectacular pool area which is surrounded by comfortable day beds and the pristine beach where bean bags are found in front of the beach villas. 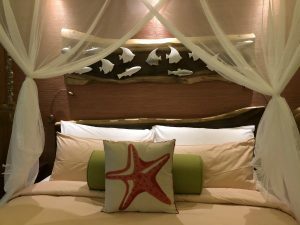 The resort is great for honeymooners, with extra touches including romantic bed decorations and sunset cocktails on their private terrace. 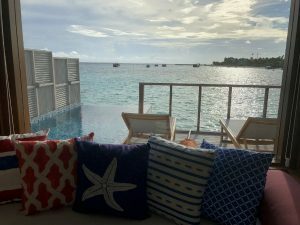 A fantastic way to end our trip was to sit by the beachfront infinity pool with a cocktail watching the beautiful sunset! 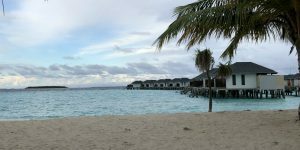 Call Jo on 01752 880 880 to hear more about her trip to the Maldives!